Pregnancy is such an exiting journey and brings with it so many changes both physically and emotionally. Monique is a maternity photographer in Melbourne who aims to tell your unique story through beautiful, timeless images that are full of meaning and emotion. Maternity photography sessions last up to one hour and take place in Monique's natural light studio located in Melbourne's South East. We generally recommend maternity sessions in Melbourne take place between 30-35 weeks gestation so that you have a nice round belly, but are still feeling reasonably fit and well. Please book at least a month in advance to avoid dissapointment. Can I bring my partner and/or children to my Maternity session? Absolutely! 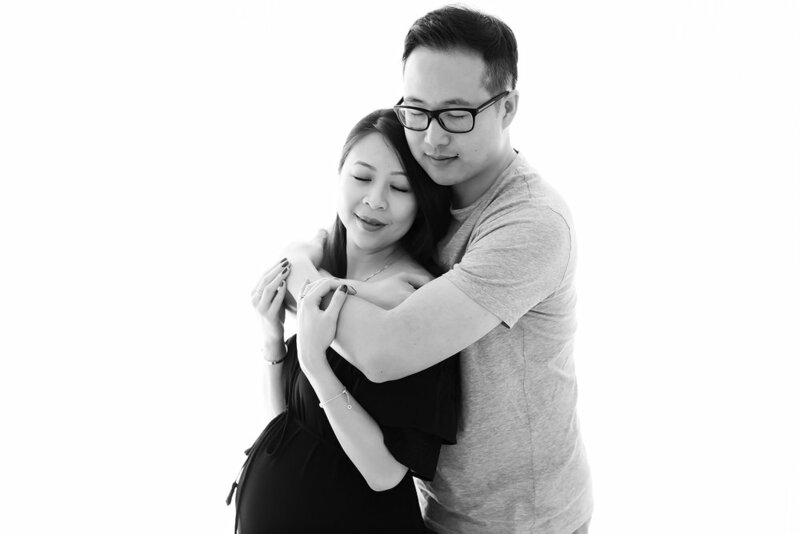 Partners and siblings are most welcome and are encouraged to participate in your maternity photography session in Melbourne. They are after all such an important part of the story. What should I wear to my maternity photography session? A limited number of lace gowns are available for you to wear during your pregnancy photography session. Clients usually bring along a few options of their own that we can mix and match with. Clothing options can be discussed during your pre-consulatation and Monique is always happy to provide advice on clothing choices. Special package available for your maternity photography session when booked with a newborn session. Please get in touch for more information.